I have missed you all! 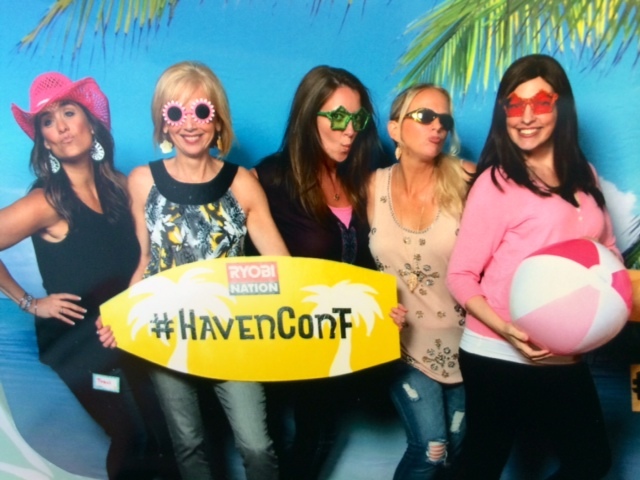 I just returned from Atlanta, GA where our team hosted the Haven Conference. 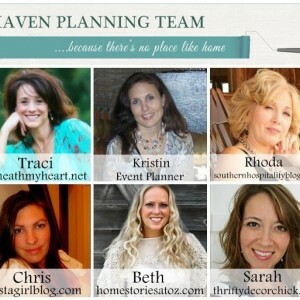 For those of you unfamiliar with Haven, it is a 3 day blogging conference for bloggers in the Home/Garden/DIY niche. 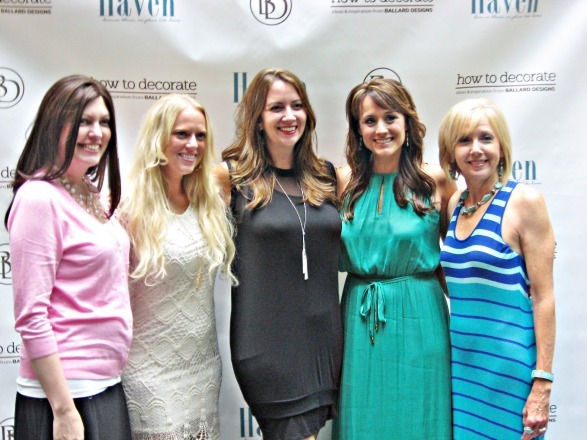 I have helped create, organize, and host Haven for the last 3 years along with (in the order they appear in the picture below) Chris, Kristin, Traci, Sarah, and Rhoda. It is an INSANE amount of work to coordinate, but we have an amazing team and it is worth it! 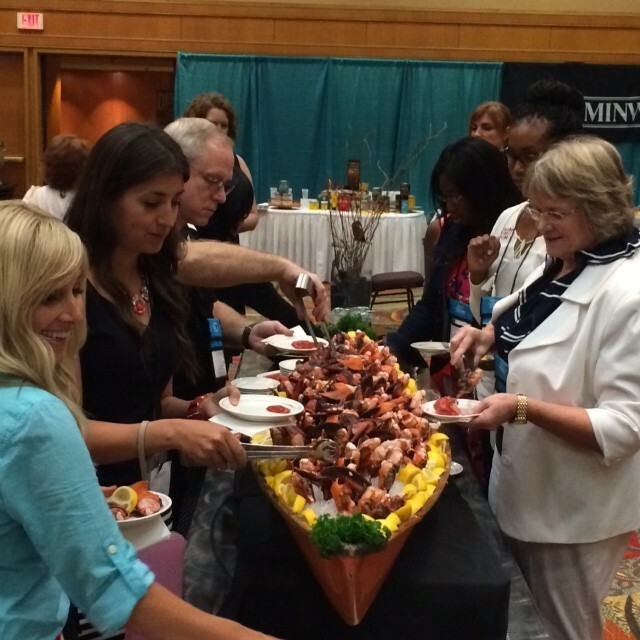 We love the Haven experience and the community of sponsors, vendors, speakers, and attendees we have fostered over the years. In a word, we are so PROUD of our community! 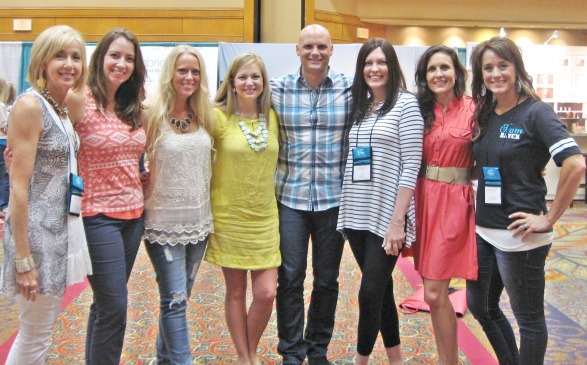 Rhoda and Kristin are the Atlanta-based team members while me, Sarah, Chris, and Traci are spread out over the country. This creates it’s own unique challenges in planning for the conference, but we overcome the distance through weekly Google Plus hangout meetings and myriads of texts and emails. Few understand the enormity of conference planning and all of the thousands of details that go into pulling off a successful event. It helps that our team adores each other. I love these ladies so much! By the way, isn’t this Haven prop below just gorgeous? We used Royal Design Studio Skylar’s Lace stencil on sheets of plywood. Kristin made the prop for us and cut the frame holes using a jigsaw. I absolutely LOVE how it turned it! 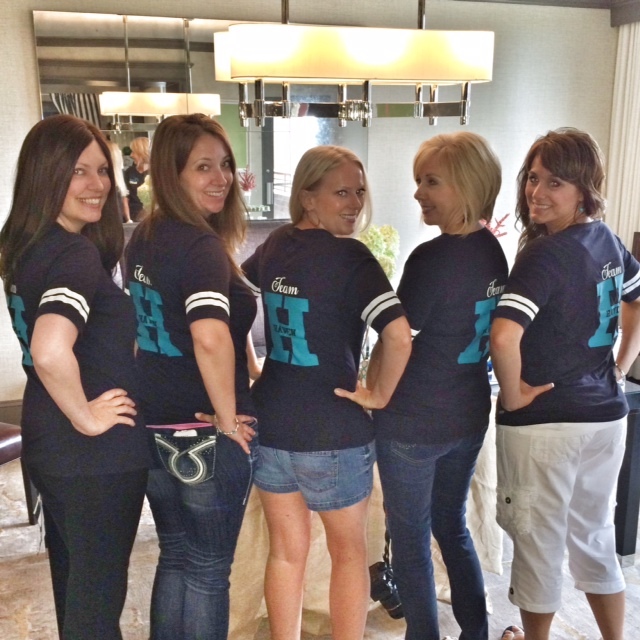 When our team arrives in Atlanta before Haven, we always hit the ground running. Thursday morning is the most hectic time of the entire conference for us—trying to help set up for the event, fill 500 swag bags, organize registration, and make sure sponsors and attendees have everything they need. 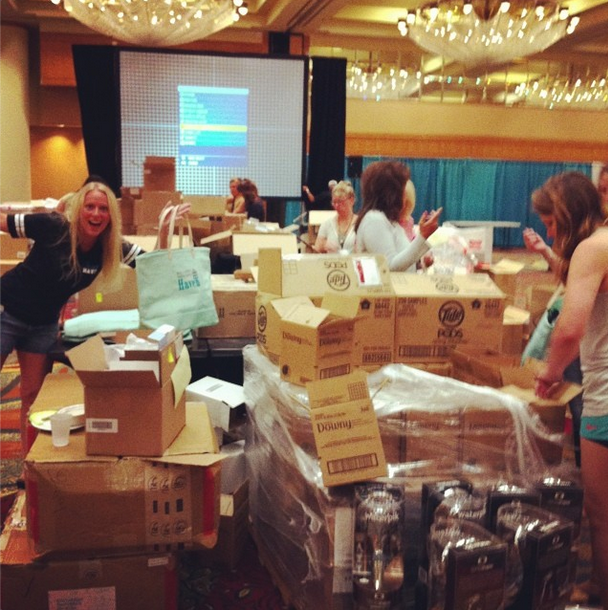 Fortunately, we had some incredibly helpful last minute volunteers helping us with swag this year. Filling all of the bags is a labor of love! This year, we also hosted a registration reception for sponsors as they arrived on Thursday afternoon. I had to show you how cute it turned out. 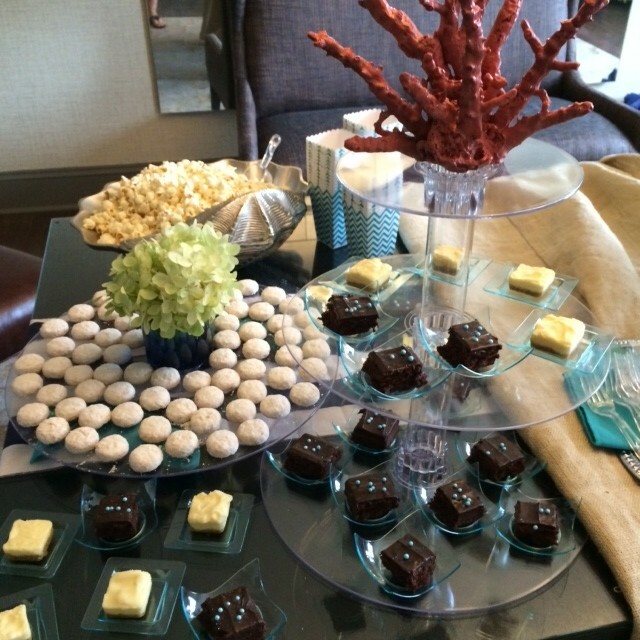 Kristin, our event coordinator (and Haven Conference rockstar), put the entire beach-themed “Anchor Yourself to Haven” reception together complete with homemade macarons. 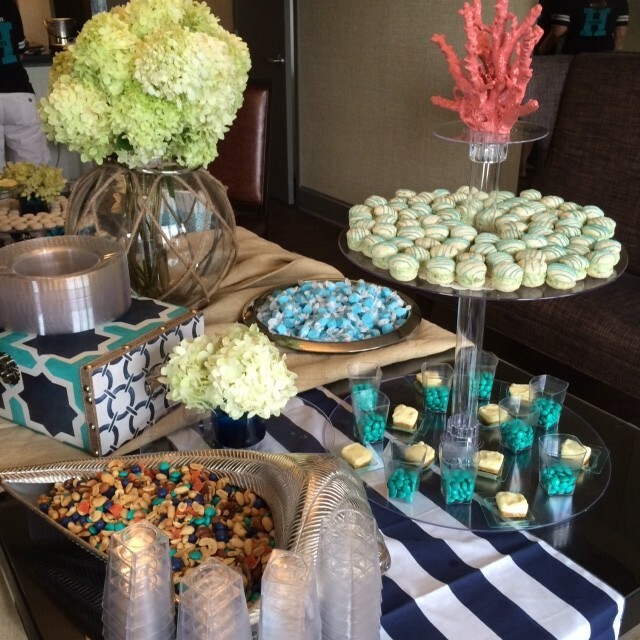 It was a lovely little snack buffet complete with adorable gift bags for the sponsors. And let me tell you, those macarons were like coookie-crack! Soooo yummy. Spotting our team members in a sea of bloggers on the first day can be difficult. We made it official this year with cute t-shirts to prove it! This made it much easier for those who needed help the first day to grab one of us and get what they needed. Go Team Haven! After preparing swag bags, breaking down boxes, sorting name badges, and hosting the reception it was time to attend the Ballard Designs opening Meet & Greet cocktail party. This is always a highlight for me because it’s the first time that everyone is seeing each other and the energy in the room is always contagious! Below is a picture of me with my sister Kim from Sand & Sisal. It’s so fun to share a passion for blogging with my sister! I love her and appreciate her support and help. 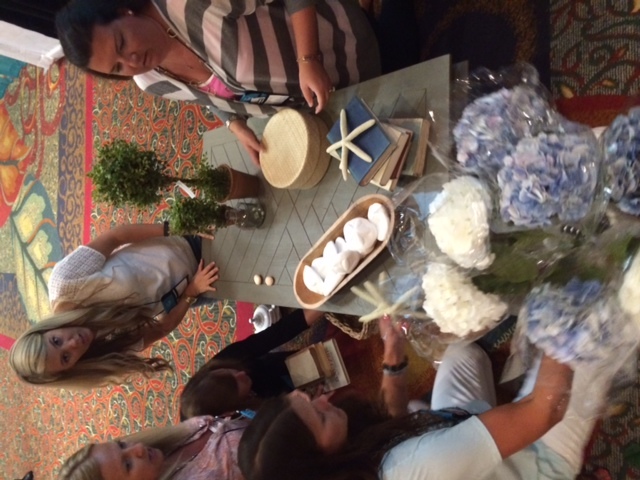 Friday morning is when our conference sessions kick off! Last year at our opening ceremony, Traci taught everyone a dance she created called The DIY Shuffle (which if you haven’t seen you need to). This year, Traci was back at it with a cute “Happy” video as well as a custom rap complete with backup dancers. I’m hoping she posts about it soon so that you can laugh at with us! 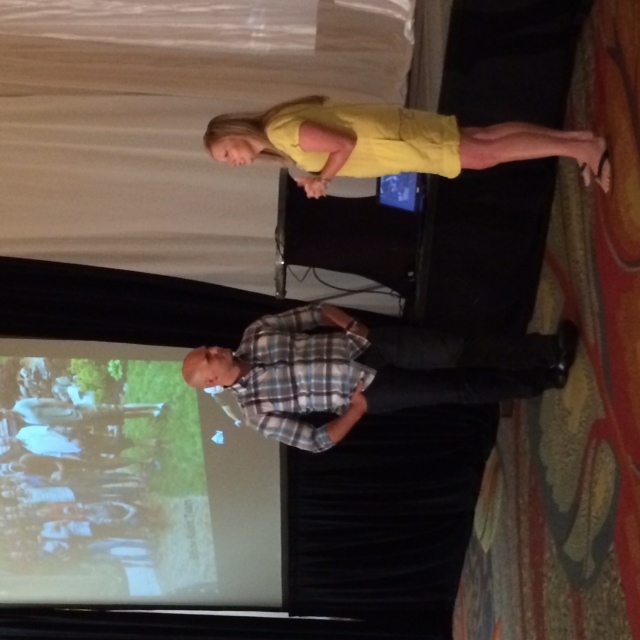 Chip Wade and Cristi Holcombe from HGTV’s Elbow Room were our Keynote speakers this year. Chip and Cristi shared some tips and pointer’s on room design, and I really appreciated being taken through their thought process. 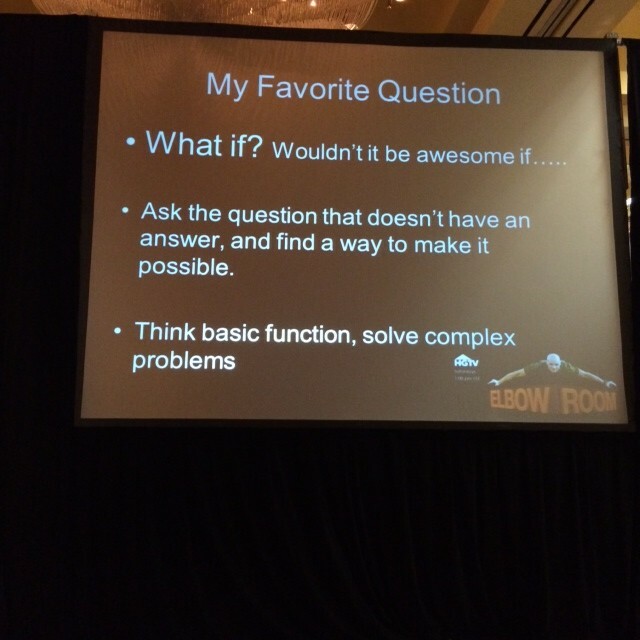 I loved hearing that Chip starts his design process by brainstorming, “What if?”. Don’t all creative ideas live in the “what if’s”? As bloggers and home owners, most of us don’t have large budgets (or the resources that come with your own television show) to design our spaces, but we do ask this same question when we design. Some of our greatest work comes out of dreaming big for our home’s and being brave enough to test out the “What if’s”! What if I use rain gutters as bookshelves? What if I put duct tape on my curtains to make stripes? What if I cut sheets of MDF to create a custom wall treatment? 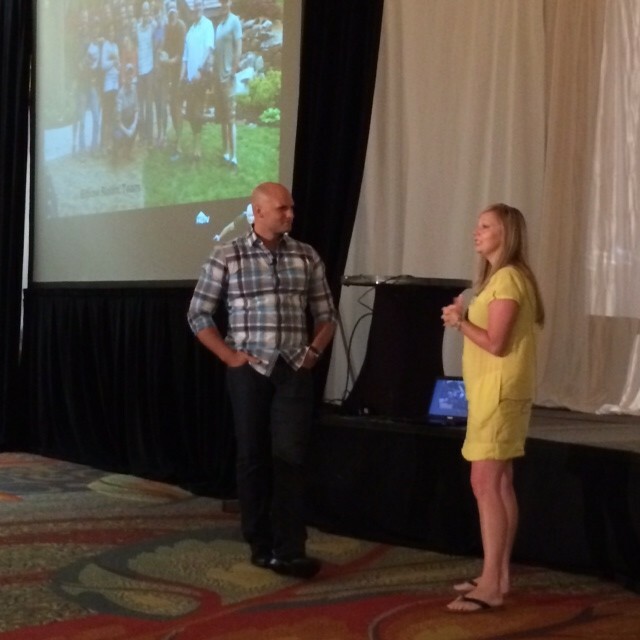 What if we start a blogging conference just for our niche? 🙂 Asking “what if” can lead to great things! At the end of their talk, our team snagged a quick picture with Chip & Cristi while everyone else was racing to get their pictures taken with Mike Holmes–who was out in the lobby! We had two fun DIY celebrities in the building at the same time. Our team tried to get a picture with Mike as well, but he had a very limited time-frame to be at Haven before catching a flight. I was able to attend a few sessions this year in their entirety. However, I was mostly hopping around making sure everyone had what they needed in their classrooms and checking in with sponsors. 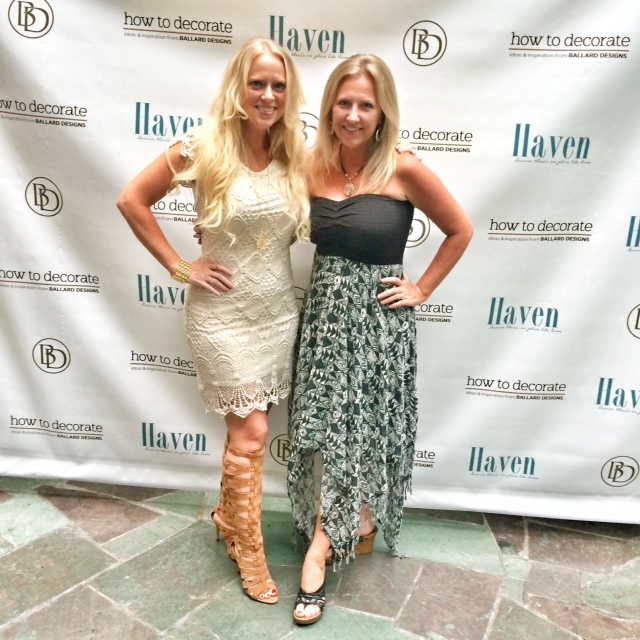 Speaking of sponsors, Haven always has the most amazing sponsors and vendors and this year was no exception! 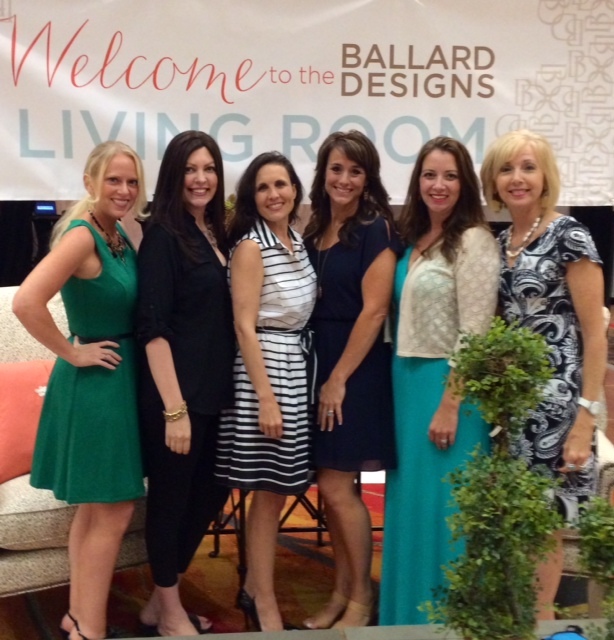 Ballard Designs has been a sponsor of ours for the last two years and they always do a beautiful job decorating our “living room” area. 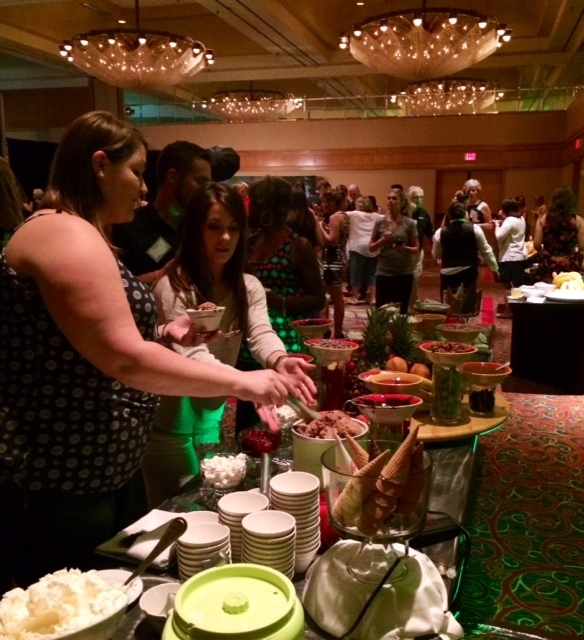 Haven keeps the ballroom open during the day for attendees to mingle with sponsors, grab a free coffee or mocha, and lounge on the Ballard’s furniture. 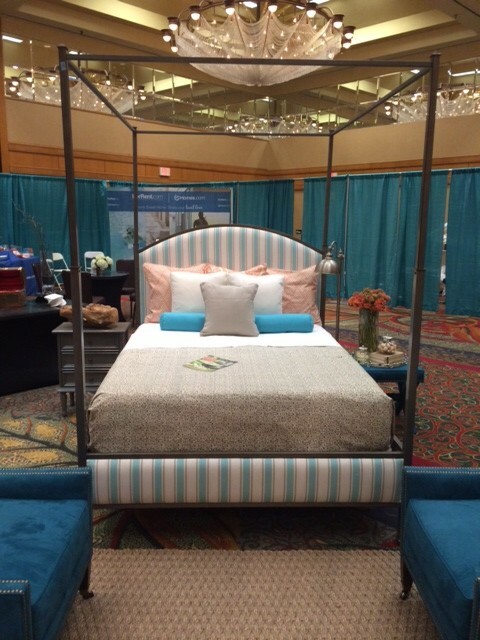 I didn’t sleep very well and was very tempted to climb in this bed! We organize a “style challenge” with Ballard each year which is a ton of fun. 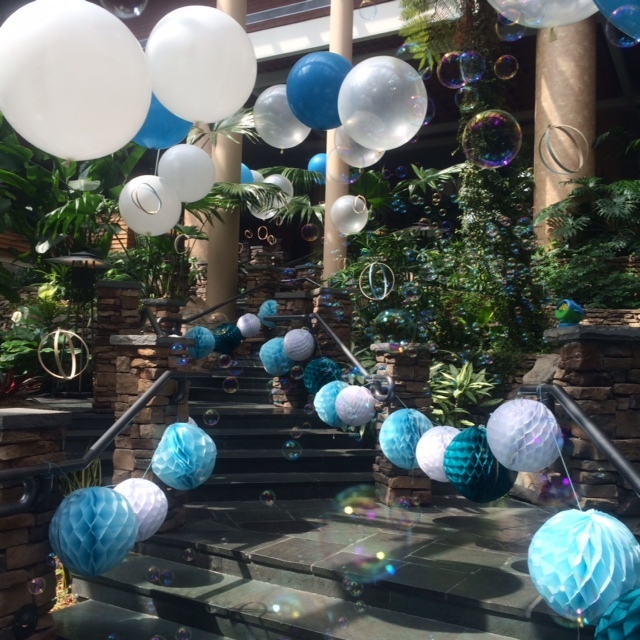 This year we had attendees enter to win a chance at participating in the contest by tagging their styled instagram photos with #havenballardstyle. 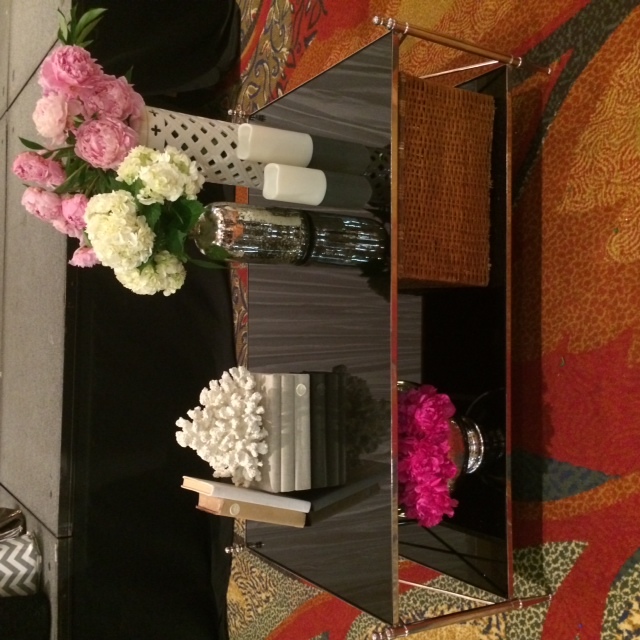 Thirty of the best vignettes were chosen and those attendees were invited to the Haven Ballard Coffee Table Design Challenge! Groups of five had 10 minutes (10!!) 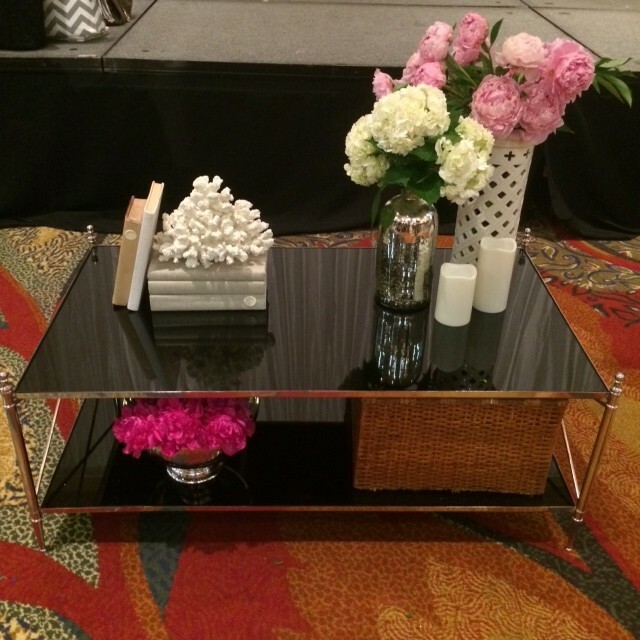 to grab props, come up with a design plan, and style their coffee tables. I felt stressed just watching them, but they all did an amazing job! 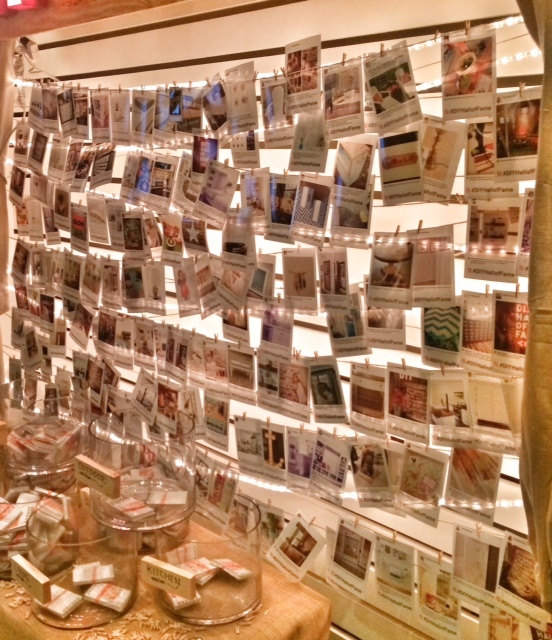 Fans voted for their favorites on facebook and the winning team members each received a $100 gift certificate to Ballard Designs. Pictured below are the winning tables. 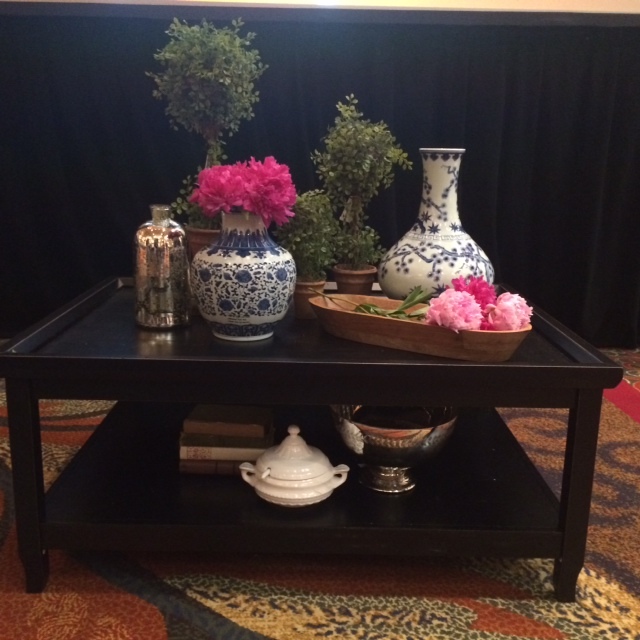 Notice that they both incorporated hot pink peonies! They were the only tables each day to do so. Hot pink really draws in the eye. 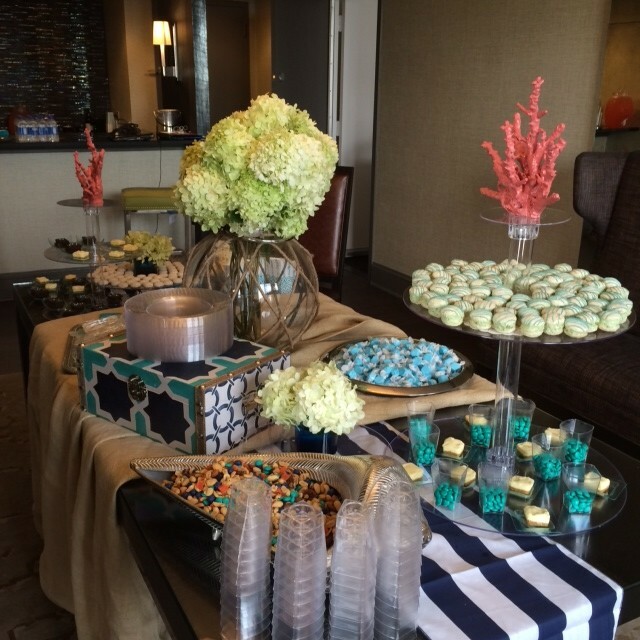 There are so many more pictures I could share with you, but I’ll just leave you with a few from our evening events. On Friday night, Rustoleum hosted a beautiful cocktail party for us complete with lobster claws, heavy hor d’oeuvres, and cocktails. 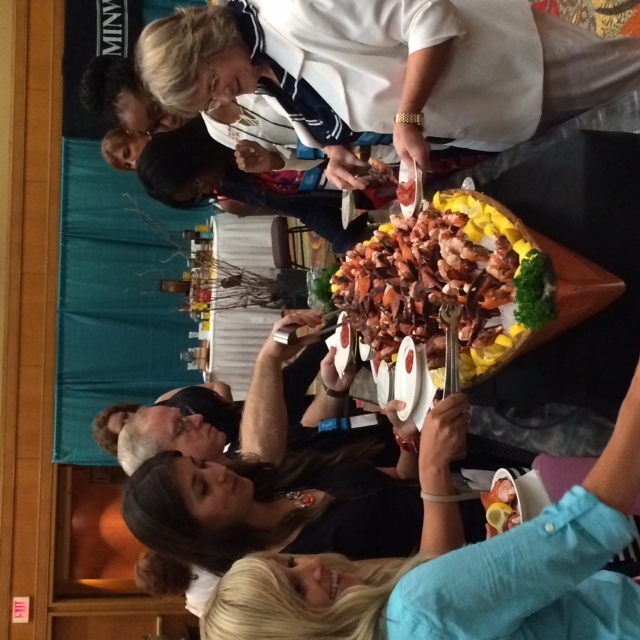 On Saturday afternoon, P&G sponsored a Tide/Oxi luncheon. My good friends and Haven speakers Mandi from Vintage Revivals & Brooke from All Things Thrifty did a GORGEOUS job of bringing the “bubble theme” to life for us. This picture doesn’t quite do it justice. It was incredibly creative and beautiful. I didn’t get adequate pictures of all of our sponsors booths but they really outdid themselves this year. Everything was so beautiful and the attention to detail was inspiring. 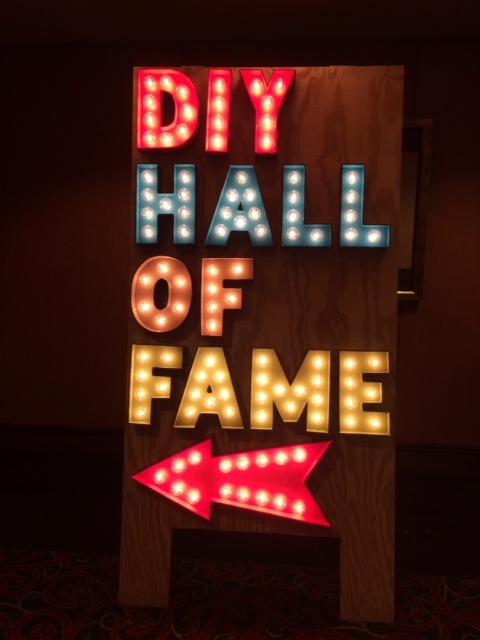 Home Depot had an entire deck and pergola featuring bloggers in their DIY Hall of Fame. 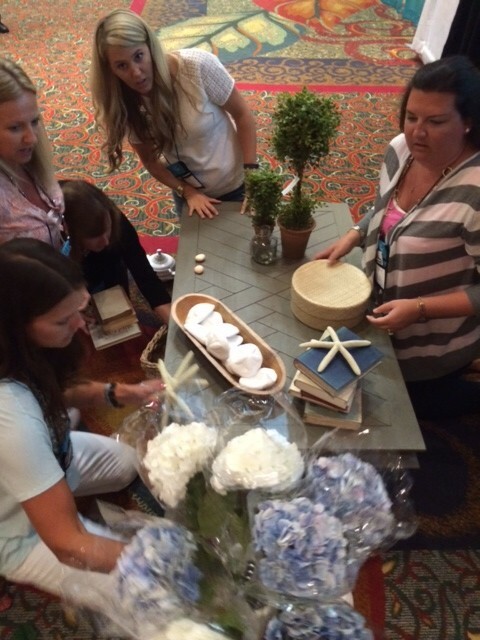 The conference went out with a big bang thanks to Ryobi Tools and their fabulous beach-themed party. 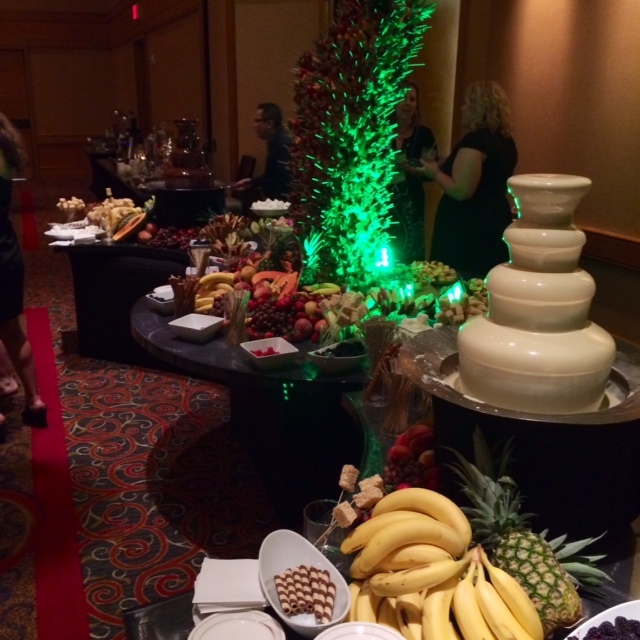 They had a decadent fruit bar, nacho bar, ice cream bar, fondue bar, and several cocktail bars. It was a very fun way to end an amazing weekend! 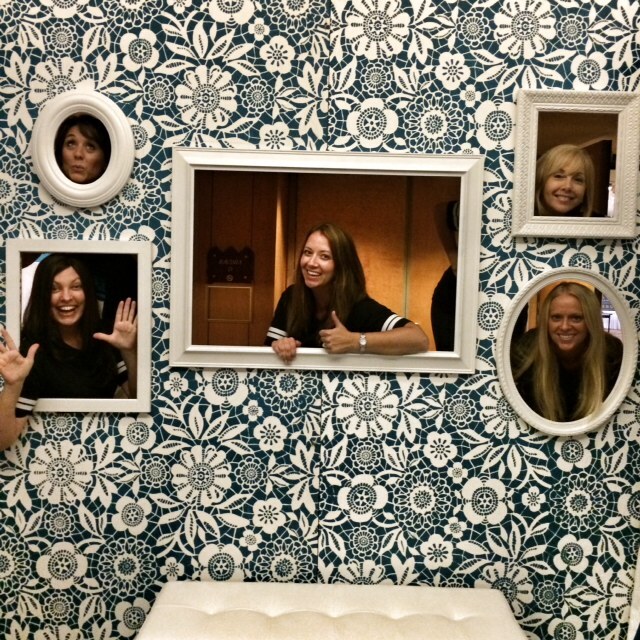 Our wacky team thanks all of the sponsors, vendors, speakers, and attendees who worked so very hard to make Haven Conference 2014 a successful event! We look forward to seeing you again next year! How can I find out about volunteer opportunities for the Haven Conference? Ok. Where did you get that beautiful lace dress!? And top?! Gorgeous! You look amazing. It was such a wonderful time and I learned so much! Thanks so much for all your hard work! Ha! It was fun seeing you at Haven Julia! And yes, not having enough time to talk with everyone is always my biggest regret after Haven. I hope to see you next year! Looks like a TON of work but worth it in the end! 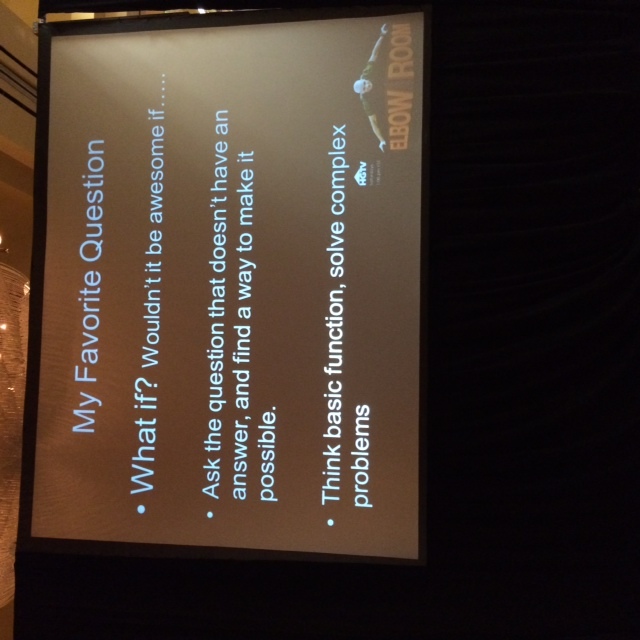 Love the “What If? ?” concept. 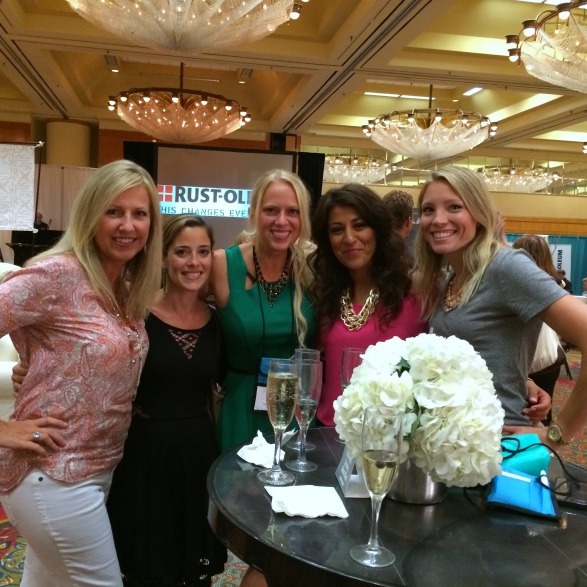 I attended with Breanna Duncan of Velvet & Burlap. As Haven Newbies this year, we were not sure what to expect. We met so many wonderful, talented, and friendly people, and we gained so much knowledge our brains hurt. You ladies did a fantastic job, and we are already talking about next year!! I had a great time, learned a lot and slept very little! That’s the true mark of a great conference. Thank you for ALL your hard work and thank you to the rest if the team. Looks like an amazing time! I hope next year to attend and meet all my favorite bloggers. What a blast! This looks like so much fun! I’m convinced- I’m definitely going next year. Looks like the hard work paid off! As usual, it looks like SO MUCH FUN! Hoping one day to meet you all there!